Brandon’s patriotism of the constitution and love for the outdoors runs deep within his DNA. His 7th great-grandfather was a captain of the American Revolutionary Army and his great grandpa was one of Utah’s first fish and game wardens. Brandon grew up in the outdoors with his family and understands how crucial life lessons that are taught there in. Such as development of family relations, self-esteem, patience, preparedness, and being respectful to mother nature and wildlife. Brandon knows how vital opportunity and public access are to ensuring these life-teaching experiences be preserved for those who follow. Brandon is a proven fighter who was involved in a life-altering accident at the age of 18 and diagnosed a quadriplegic. 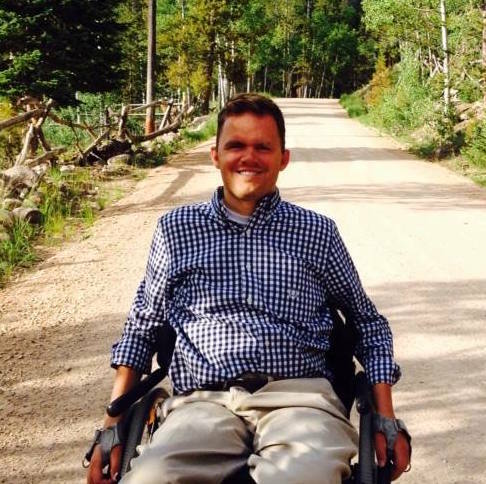 Since then he has received degrees in administration and counseling and has worked as a public relations specialist and life coach for the largest not-for-profit healthcare group in the Intermountain West.